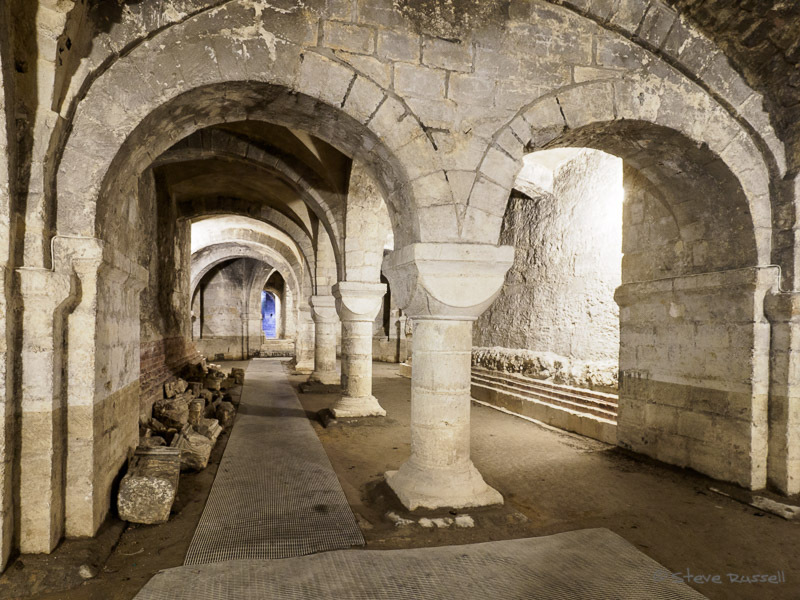 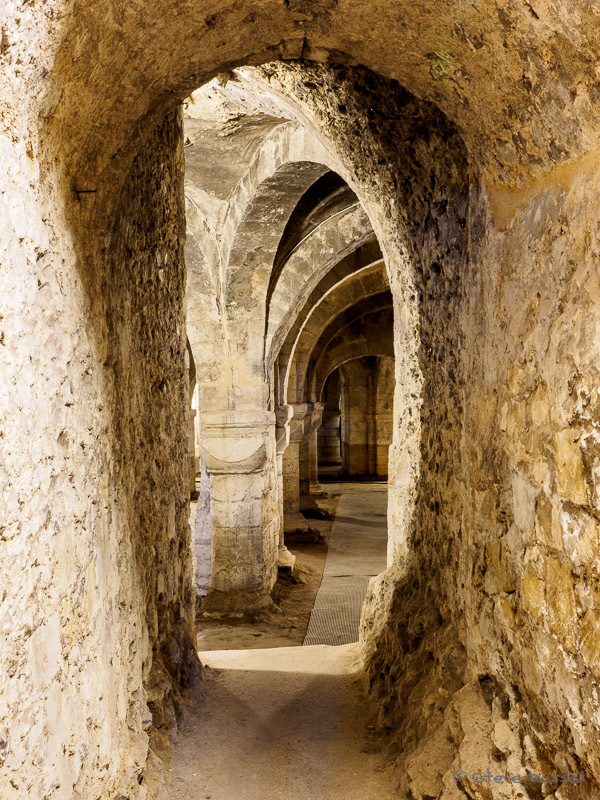 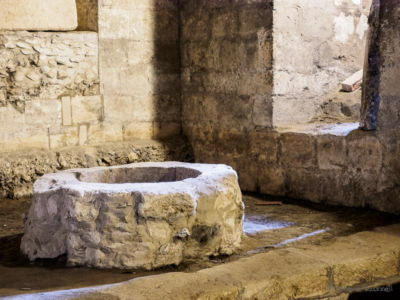 Although I’ve lived in Winchester for many years and visited the cathedral two or three times each year, I only discovered the cathdral’s crypt a few years ago. 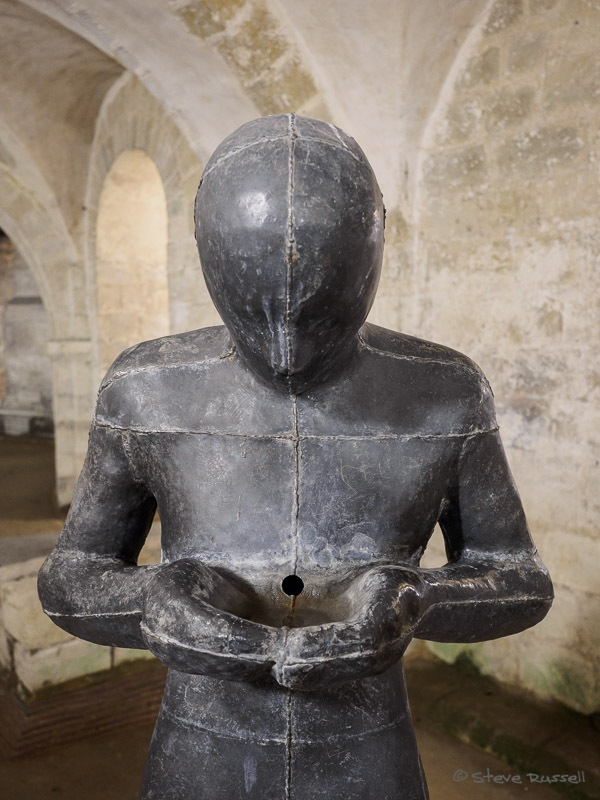 Inside it is a mysterious statue by Antony Gormley, called Sound II. 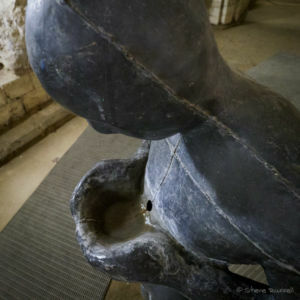 I’ve found myself fascinated by it and have visited quite often to photograph the sculpture. 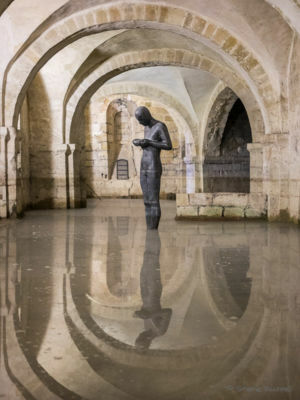 For most of the year, you can only see it from a small viewing area as the crypt is flooded from Autumn to Spring. 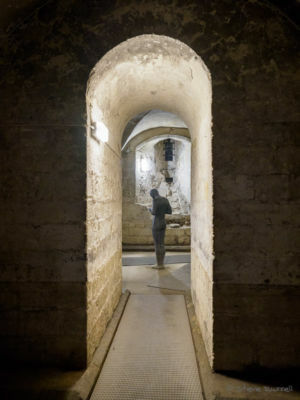 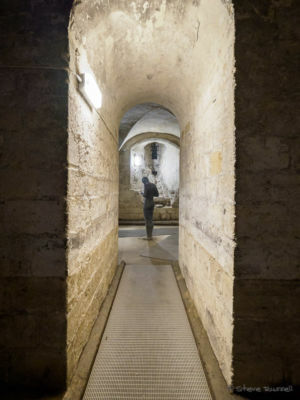 If the summer is dry enough, the floor of the crypt becomes sufficiently stable to allow access to its far reaches. 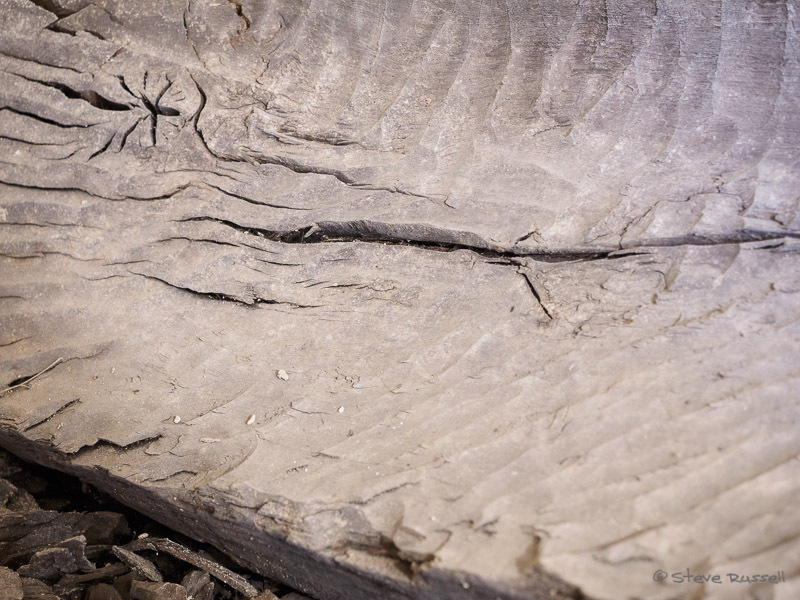 Frustratingly, a combination of wet summers and circumstance has prevented me getting closer until recently. This year has been quite dry and I looked forward to getting closer to the statue. 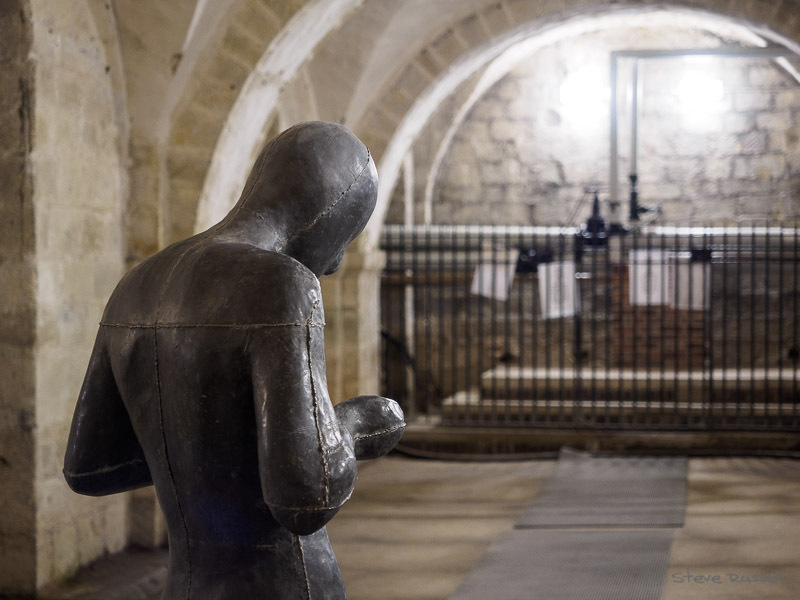 Normally, you only get access by booking on a free tour but I was fortunate enough to get a couple of hours of unfettered access thanks to a contact at the cathedral (thanks, you know who you are!). 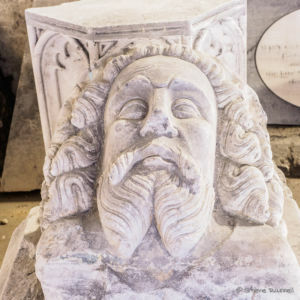 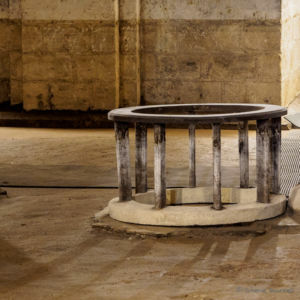 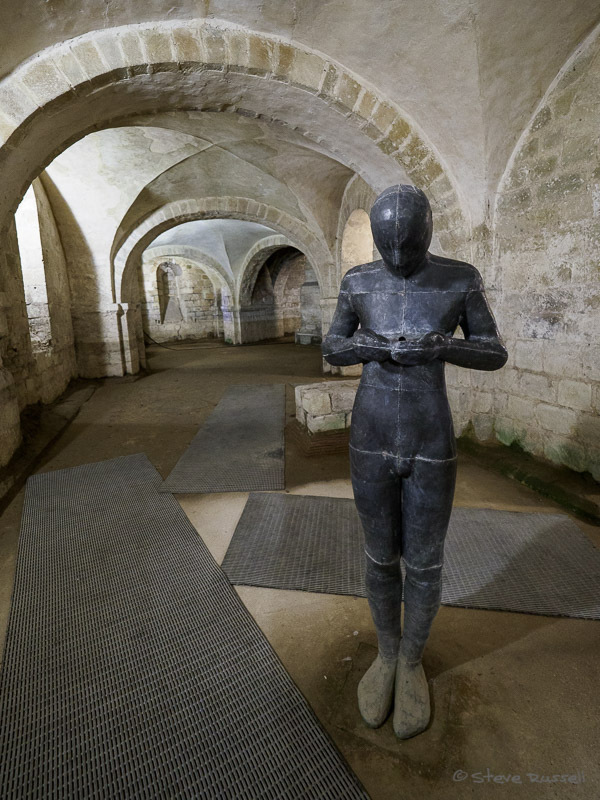 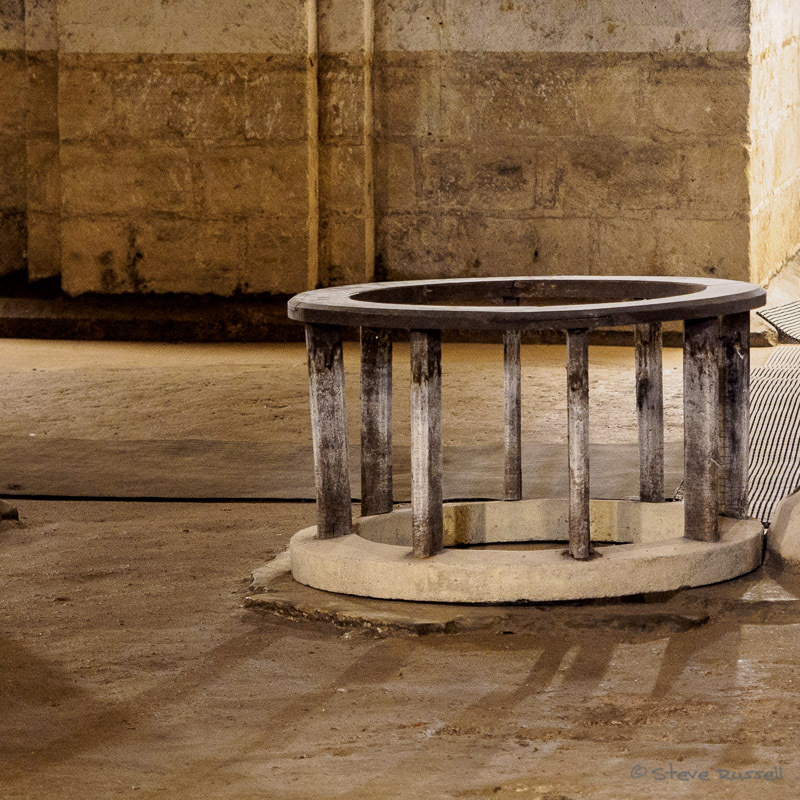 Interestingly, a second sculpture that I was not aware of, Sounding by Tim Harrisson, is also in the crypt but hidden from view if you’re restricted to the viewing area. 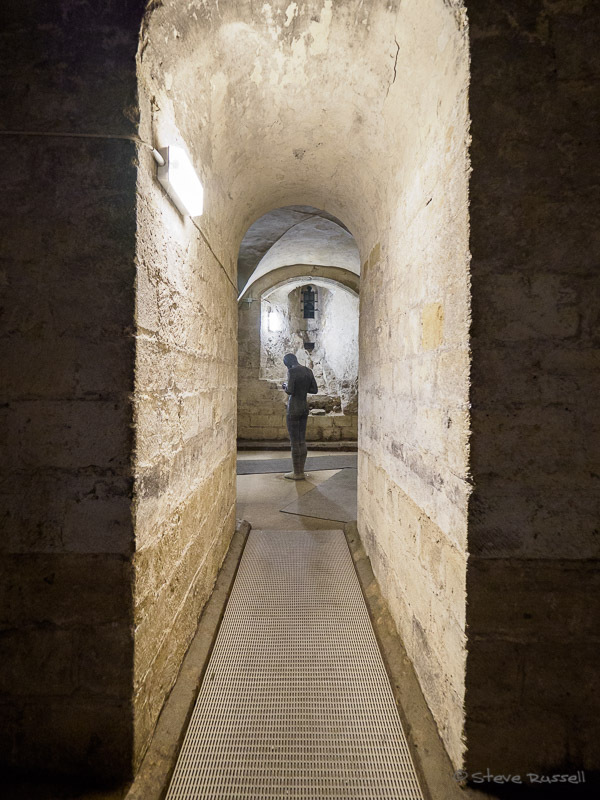 Anyway, here are some pictures from that visit. 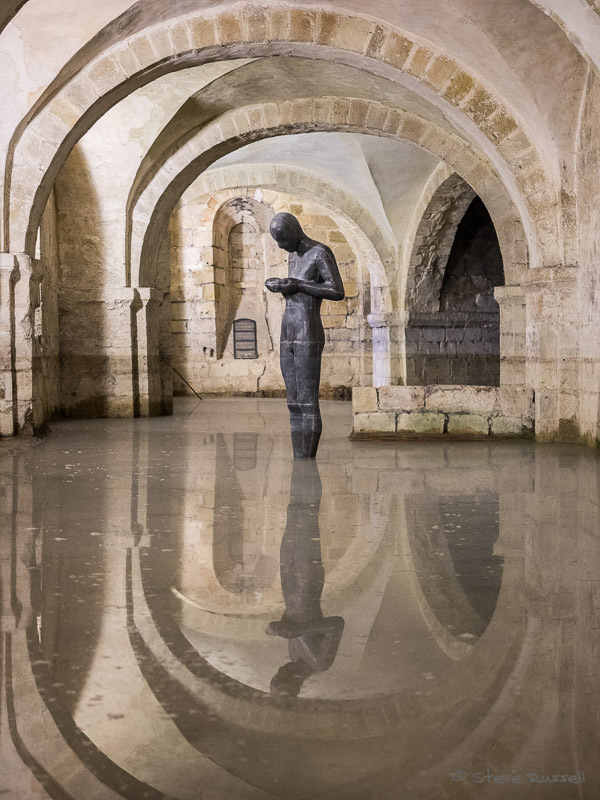 I’ve included one picture of Sound II, taken when the crypt was flooded so you can see the lovely effect of the water.